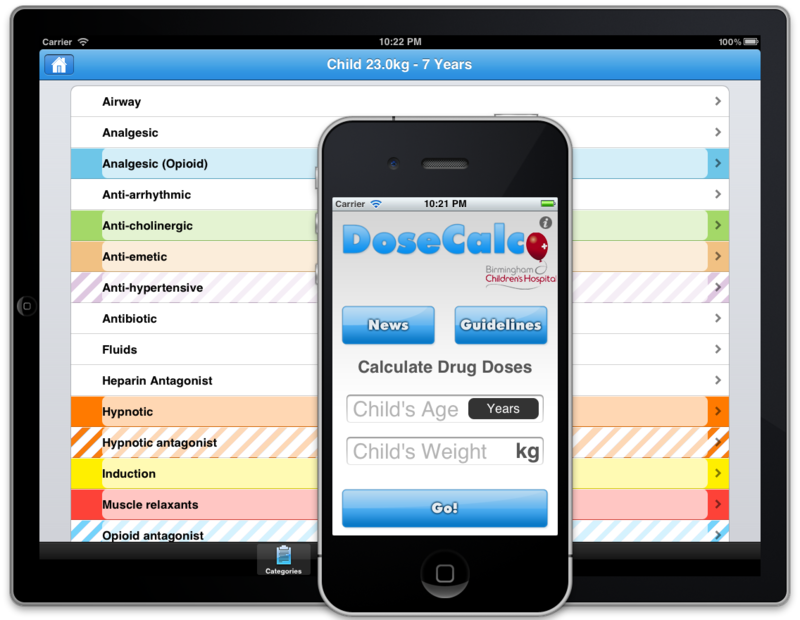 Dose Calc is a paediatric anaesthesiology drug dose calculator for iPhone and iPad. Its purpose is to assist doctors with the calculation of drug doses in potentially urgent situations. The app is the brain-child of Dr Barry G Lambert, Consultant Paediatric Anaesthetist. Birmingham Children’s Hospital and all proceeds go to the hospital. The app allows a child’s age or weight to be entered and a wide array of drugs, airways and resuscitation items are listed by category, with colour coding according to the Royal College of Anaesthetists syringe colour coding system. Each individual drug has the appropriate dose listed with any guidance notes. This app shows how tablet and mobile computing can be applied in a medical context to provide accuracy as well as reliability for medical professionals.